It's that time of year again in Stephenville, Texas, the Pro Rodeo is coming to town and we celebrate all week with what we like to call, Rodeo Heritage Week. It officially starts tomorrow with a 5k, BBQ, and an old fashion Rodeo Queen Contest! Rodeo is a huge part of the culture here in Stephenville, and you'd never guess, but Fashion is huge part of the rodeo world as well. From western fashion influencers to sponsoring pro rodeo athletes. Which, leads me to tell you about our favorite part of Rodeo Heritage Week here at PUNCHY'S and that is the Fashion Show, which is called, The Show. It is a fundraising event that generates the added money for the Pro Rodeo Athletes to compete for. Last year there were nearly 600 athletes competing at this single rodeo! The Show is a chance for local boutiques in the area to show off their best outfits and style. Each business gets two models to showcase their top notch style. It has always been a tremendous success with tickets usually selling out the day they go on sale! We love to be part of this event and we love the opportunity to put together some high fashion looks, that aren't our normal go-to's. These are typically styles that we haven't even put out in our store to sell yet or launched online. So it's fun for us to be able to show the public something they haven't seen before. Tomorrow is also the start of something else known generally everywhere else, but Texas, and that is the Fall Season. You know, #sweaterweather, pumpkin spice lattes, flannels, booties & bon fires. Unfortunately we are still facing 90 degree weather and trying to bear it by wearing sweaters with shorts because we are seriously so ready for it to cooool down. So we thought our September Top Picks should be fall approved, but fall in Texas approved! Fall is all about the layers and these are some of our go to favs. 1. 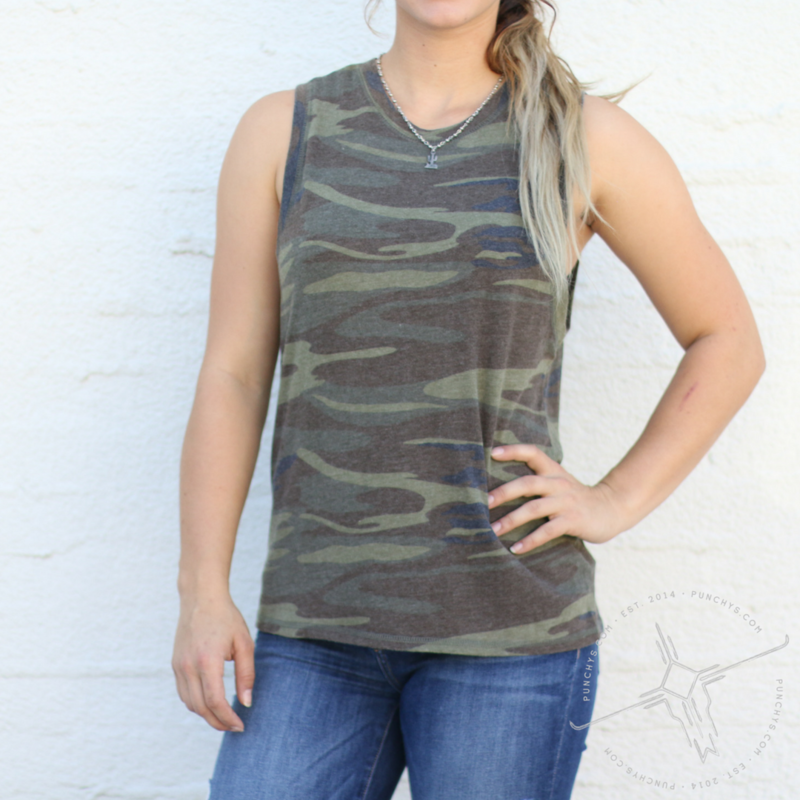 Camo muscle tank. Do we need to say more!? With it's high neck it's great for blazers or layering with cardigans and an added bonus this tank pairs easier with a wide variety of necklaces. 2. A great denim jacket. 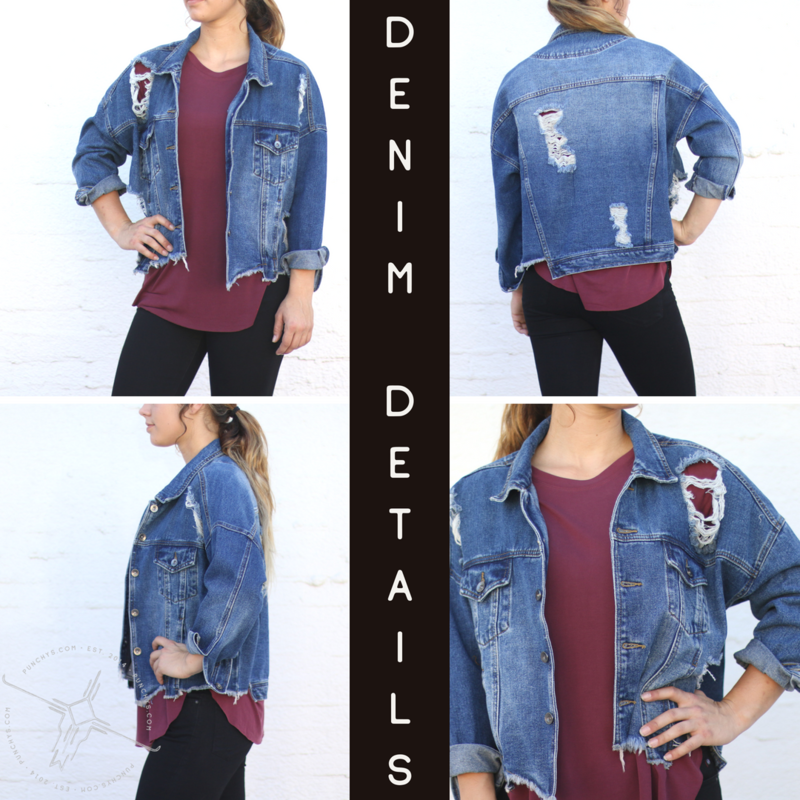 We are currently obsessed with our Distressed Over-sized Denim Jacket. It's baggy, amazingly distressed, comfortable, and hits just in the right places to give you a shape even though it's over-sized. 3. You can't have a fall must have list without the perfect fall colored basic! Our pick is the Bordeaux Crew Neck Basic. 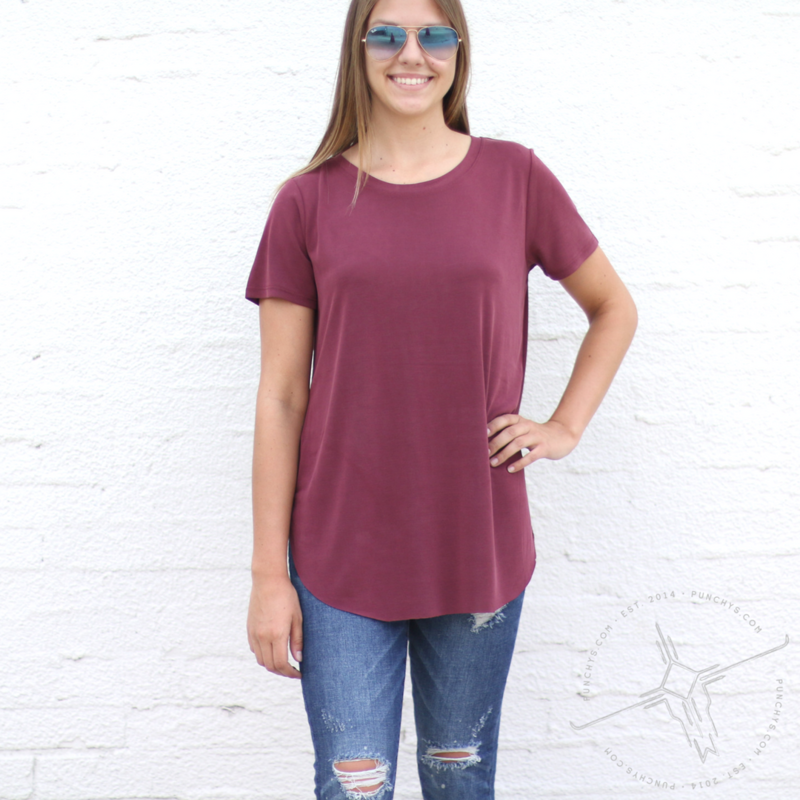 No pocket to get in your way when you are layering it up and to elevate the style of this basic it has a rounded raw edge hem. Which, is perfect for doing the half tuck look. 4. 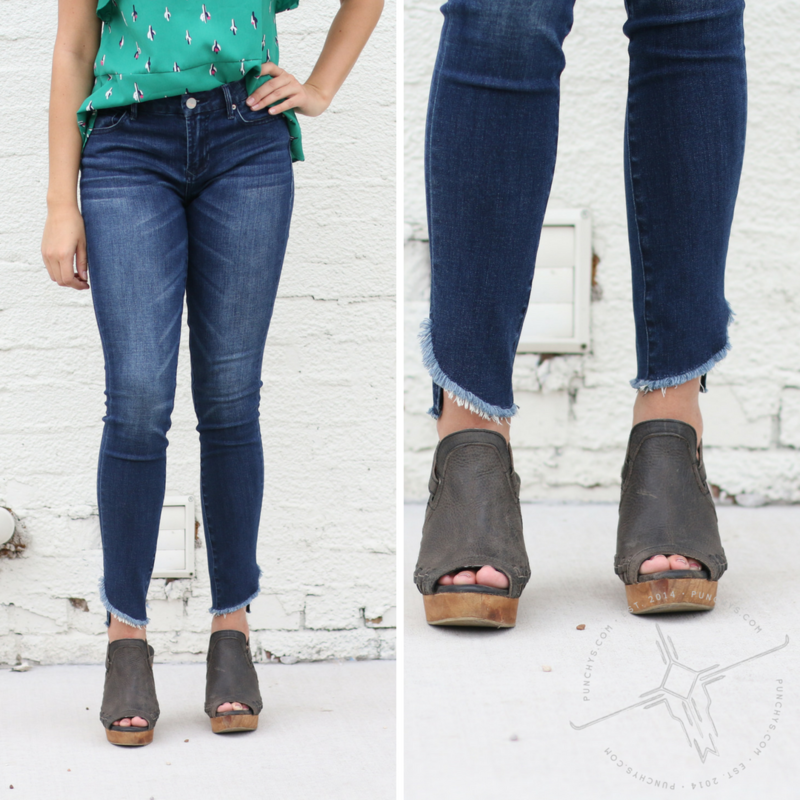 You have to have the perfect skinny jeans to go with favorite fall booties, right? YES, you do. Our top pick has the best frayed hem detail out there. We are currently obsessed! They are the Dear John Ankle Skinny in Heni. 5. Lastly, it’s black and soft, no other details needed. It's our Z Supply Black Jersey Romper. Slouch it off the shoulder, add a wrap belt and a duster, and your ready to go out. Or keep it casual with a pair of flats and a simple jacket. You can never go wrong when fashion and comfort like this collide. Just for fun I am going to sneak one more in, because it reminds me of pumpkin spice lattes, which are the essence of fall, right? Just kidding. I personally just love this bag. It is a terracotta colored genuine suede leather bucket bag. It is made my ABLE bags, which is just an awesome women based company. I love the texture and the color is awesome pop to any outfit. 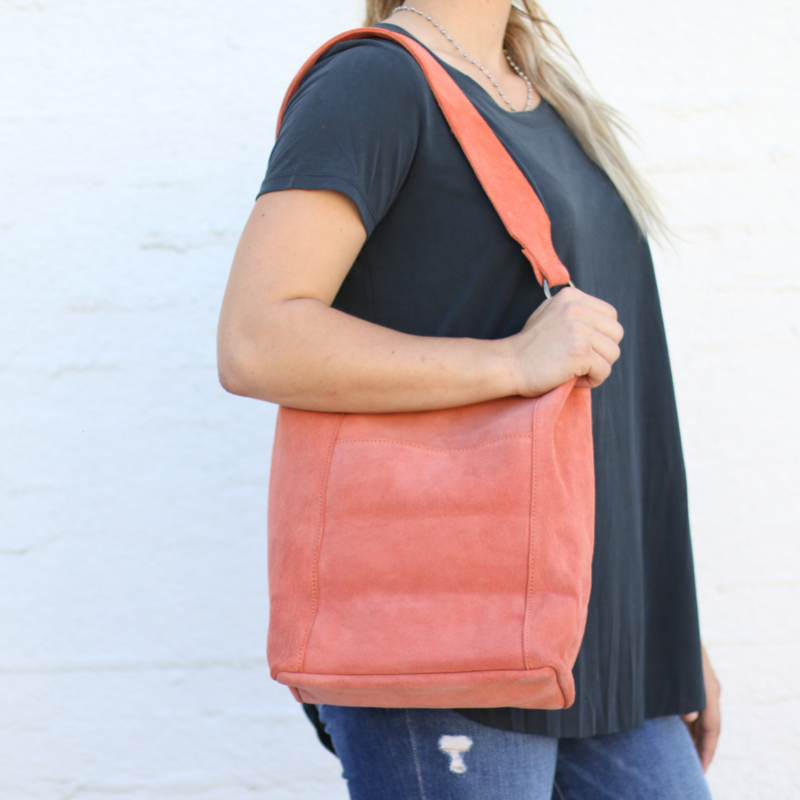 Here you go the Suede Terracotta Wide Leather Strap Bucket Bag. Our special fall treat to you is 10% Off Each of these September Picks. If you are curious about our fashion show outfits stay tuned we will be launches those next week after the event! !